October 2, 2017 September 17, 2017 / Elizabeth T.
Happy October! Oh my, October! I can’t believe it’s really almost the end of 2017! Time is seriously flying by way too fast, and although I’m so excited for Thanksgiving and Christmas, I really can’t imagine that in just three short months, it’ll be 2018! Where did the time go? Although it’s kind of scary that the year is almost over, nothing can really stop my excitement for the coming months because it’s the holiday season! And of course, with October officially here, it’s also the start of sweater weather (finally! ), holiday coffee season, and cozy weekends in just watching movies and reading books! As with every month’s end, here’s a roundup of some of my favorites from this past September! 😉 Enjoy! 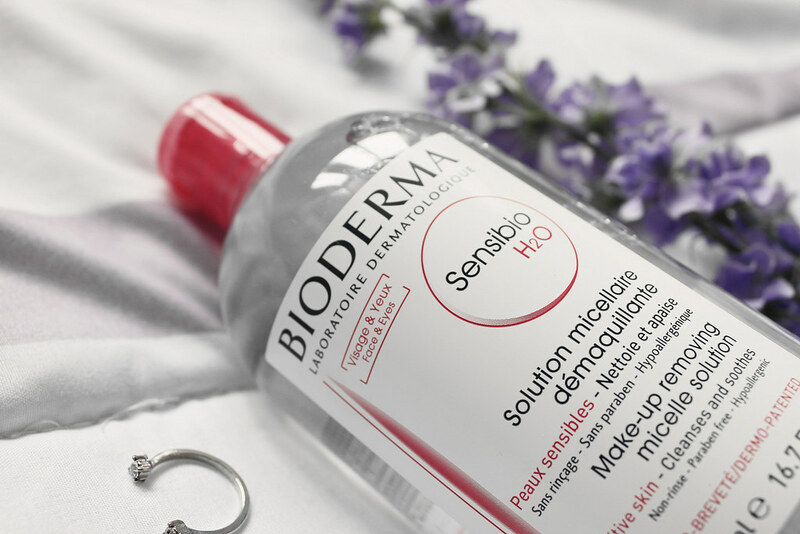 First up is the Bioderma Sensibio H2O Make-Up Removing Micelle Solution. I know I’m pretty late to the game, since this is on almost every girl’s holy grail list, but I recently just saw it on sale while shopping with a couple friends, and they convinced me to buy it since they swear by it! And honestly, I finally know what all of the hype is about! I think one of the best things about this cleansing water is how easy it is to use. I basically just soak a cotton pad with product and gently wipe at my face and eyes to remove my makeup. Designed with cucumber extract and soothing properties, this makeup remover is specifically formulated for normal and dry skin types, removing even water-resistant makeup without any unnecessary stinging or burning. I love how gentle this micellar water is, with a formula that consists of fatty acid esters, the constituent elements of micelles similar to the phospholipids of skin cells, so that it can actually help the skin naturally rebuild its hydrolipidic film. My favorite part of this formula is how nonintrusive it feels. Though I typically have no problem with my oil-based eye makeup removers, I do notice that it does cause a certain level of discomfort to my eyes, especially since I wear contacts on a daily basis. With this formula, though, I feel no irritation at all, and I really love how gentle it feels! You might be asking how, why, what, and let me tell you, it’s all thanks to Sephora’s Weekly Wow program! If you’re not already aware of Sephora’s Weekly Wow program, then you should definitely hop on over to their website and get started now! The Weekly Wow program at Sephora highlights 3 to 5 products every Thursday… at a steep discount! Like no joke kind of discount! 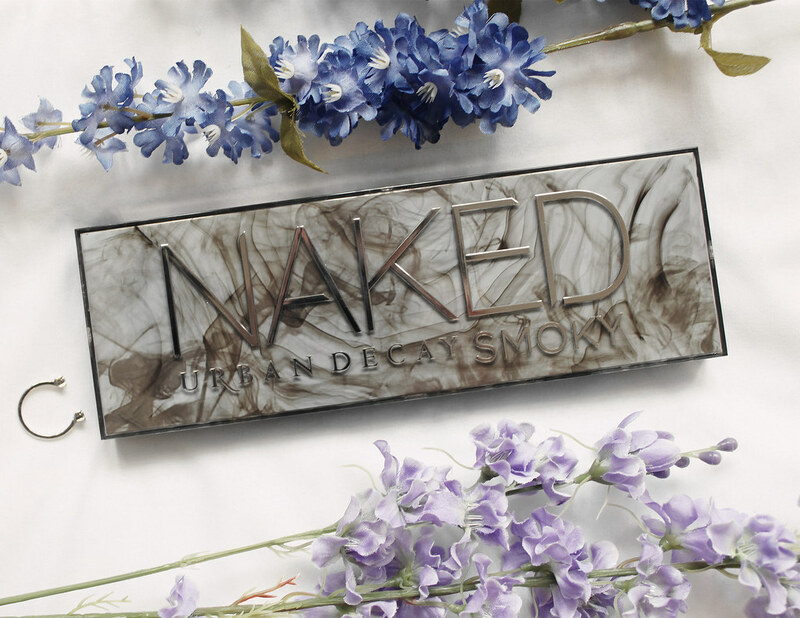 This Naked Smoky Palette was literally half off, and every week, new deals are added, so you might get to score some really great products at a super low price! And if you’re wondering, this post is completely not sponsored! I bought this product on my own, and the only reason I’m mentioning this program is because I think it’s such a great way to try new beauty products at a discounted price! So now that we’ve handled the logistics, let’s get back to the actual palette hahaha! I’ve always been a huge fan of the Naked palettes, and actually already own the Naked 2 and Naked Basics! But then again, a girl can never really complain about too much makeup… right? I’ve never really been a fan of smoky eyes though, at least not on myself, since I find that it looks a little too dramatic for my softer features, so I’ve always shied away from darker eye shadows. With this new palette though, I find that the smoky look isn’t all that intimidating, and I’ve been really loving it (almost just as much as the Naked 2). With warm bronzes, dimensional grays, rich browns, and gorgeous taupes, I actually find that there are a lot of shadows that I can use to create softer, smoky looks that are more fitted for my facial features. 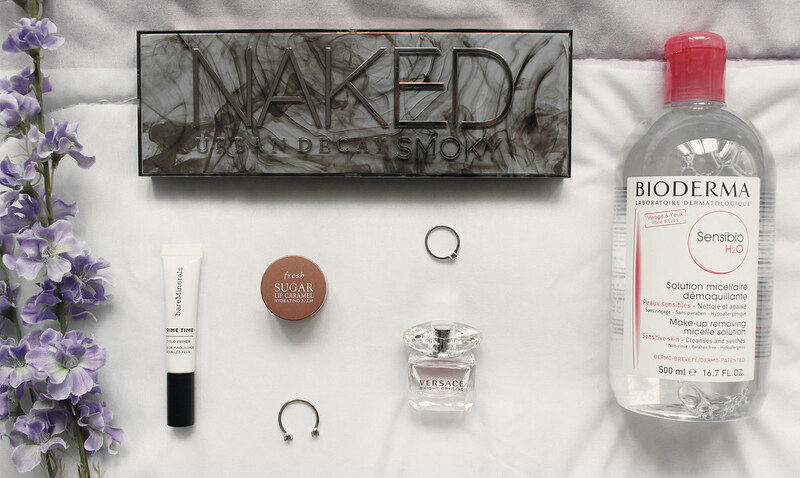 And a big plus – the packaging is amazing, with it’s sleek edges and smoky translucent case! As mentioned in an earlier post this month, I was invited to a bareMinerals and Influenster event a little while ago and was given a goodie bag and some products to try in the process. Of all of the products that I received, one of my absolute favorites was the bareMinerals Prime Time Eyelid Primer! I’ve been using the Urban Decay Primer Potion for as long as I could remember, and while I didn’t hate it, I also didn’t feel like it really did its job super well. 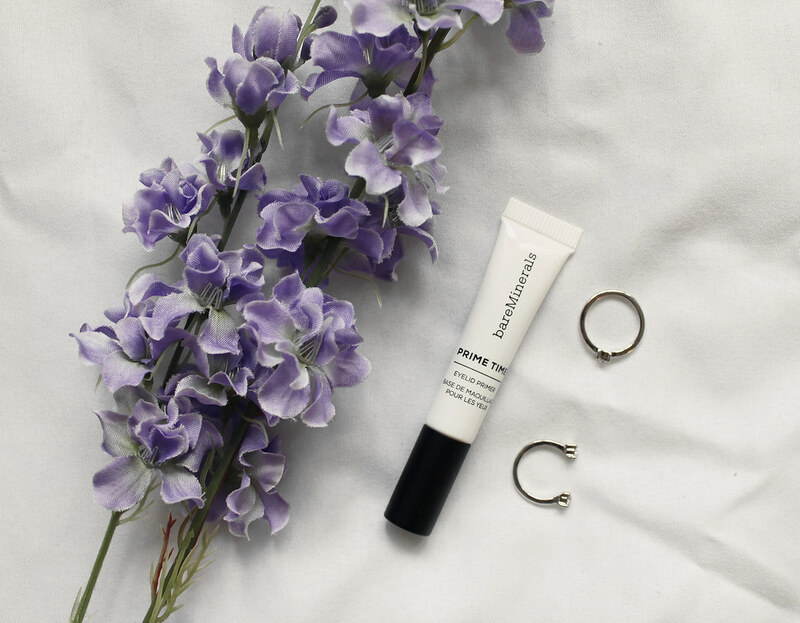 This brightening primer from bareMinerals totally changed my perspective of eyelid primers once I started using it! Not only is it oil-free and fragrance-free, this primer really helps to extend the wear of eyeshadow. It goes on sheer and neutral, so it really helps to bring out high-pigmented shadows for vibrant and lasting color for all day wear, something that’s especially needed for LA’s constantly warm weather! 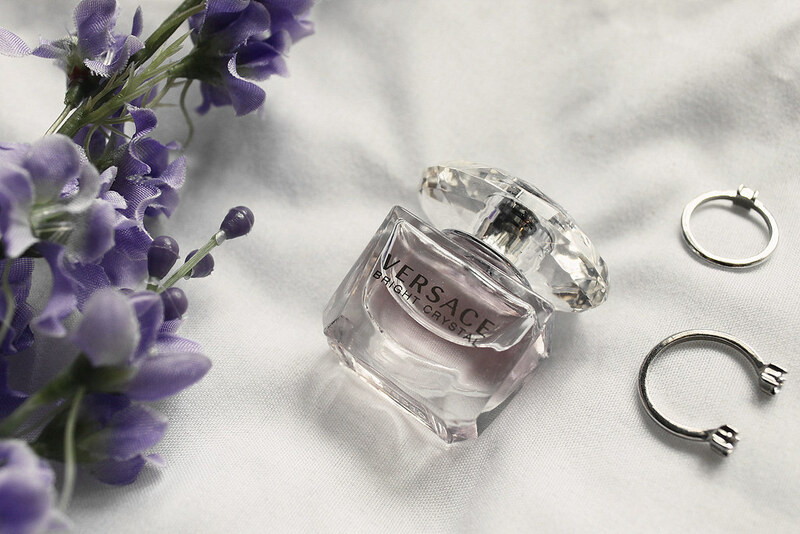 As mentioned in a monthly favorites from a while ago (here), I’ve rekindled my love with Versace’s Bright Crystal, and the small travel sizes just weren’t enough! There’s just something about the fresh, sensual blend of refreshing chilled yuzu and pomegranate mingled with soothing blossoms of peony, magnolia, and lotus flower, warmed with notes of musk and amber, that feels extra perfect for autumn. 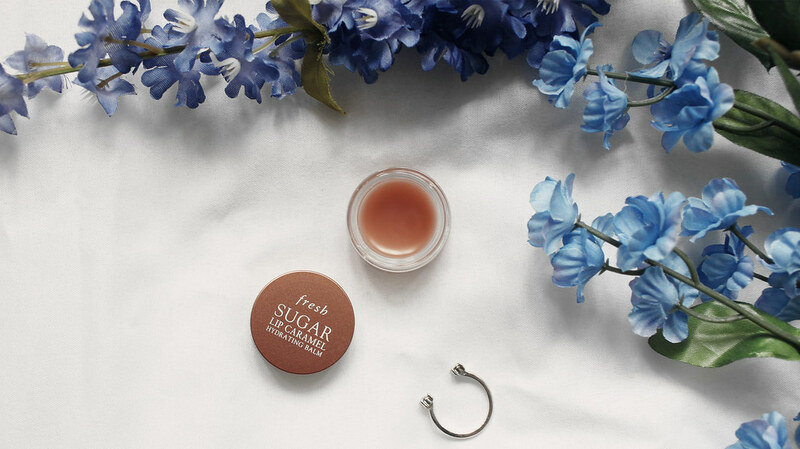 And last but definitely not least, is the new Fresh Sugar Lip Caramel Hydrating Balm! 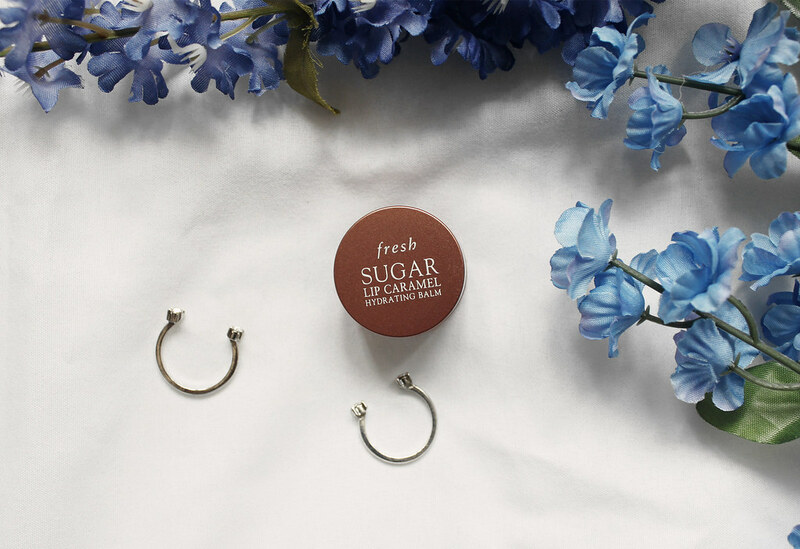 It’s one of the newest products from Fresh, and this next-generation lip balm immediately locks in moisture and delivers unbeatable 24-hour hydration for soft, healthy, plump-looking lips with an addictive caramel scent and flavor. And that wraps up my favorites for this month! 🙂 What were some of your favorites this past September? And are you as excited about October as me? Let me know in the comments because I always love hearing from you! 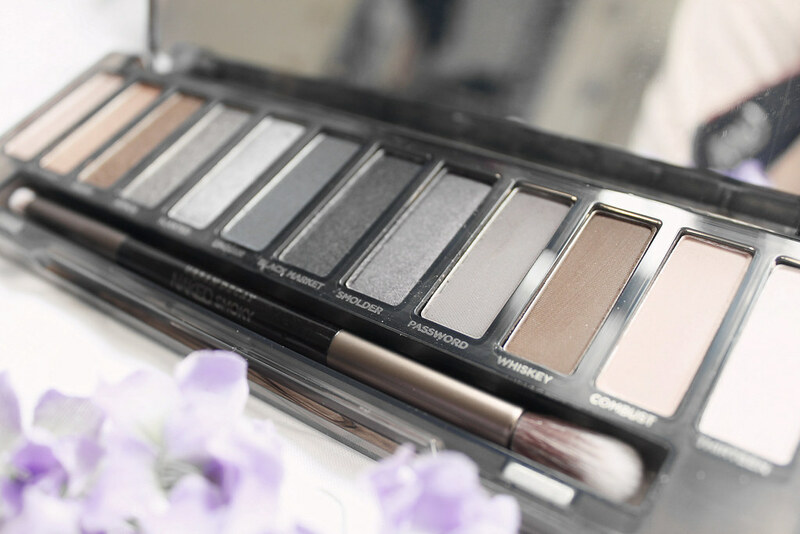 Love your favorites, especially that UD Naked Smoky Palette! Oooh that Fresh lip product looks so good!! I want it haha. And OMG yes girl.. you’ve joined the Bioderma Micellar Water club. I love that stuff for removing makeup. Haha I’m so glad we bought that palette. I actually really like the colors too though I still haven’t tried a lot of them. 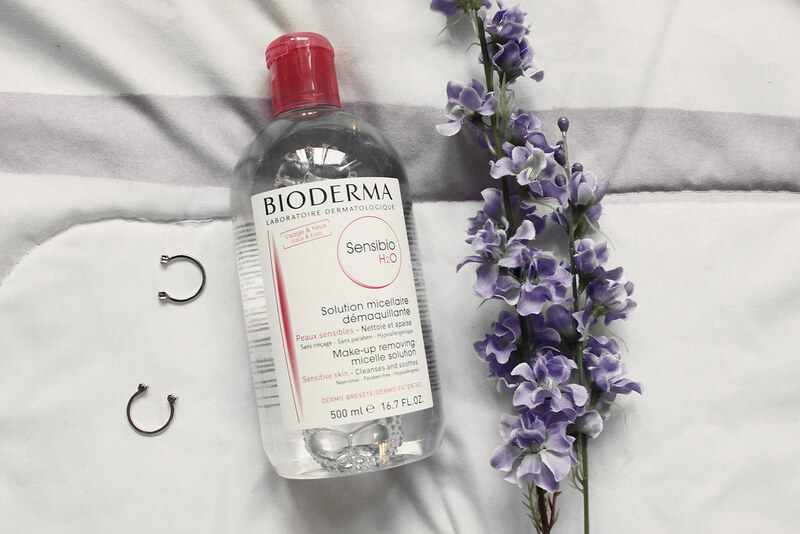 Oh I love Bioderma, have been using this water previously and it’s really really good. Currently trying a different product by Pixie. Have a lovely October! Yes, me too! ❤ 🙂 Can't wait to try the Pixie one! i honestly couldn’t live without bioderma! The Naked Palette is my favorite. That palette looks gorgeous – I don’t have enough of those sorts of shades in my collection. The packaging is beautiful! I love bioderma cleanser too. So cool, loving this palette! I love all your favorites here! 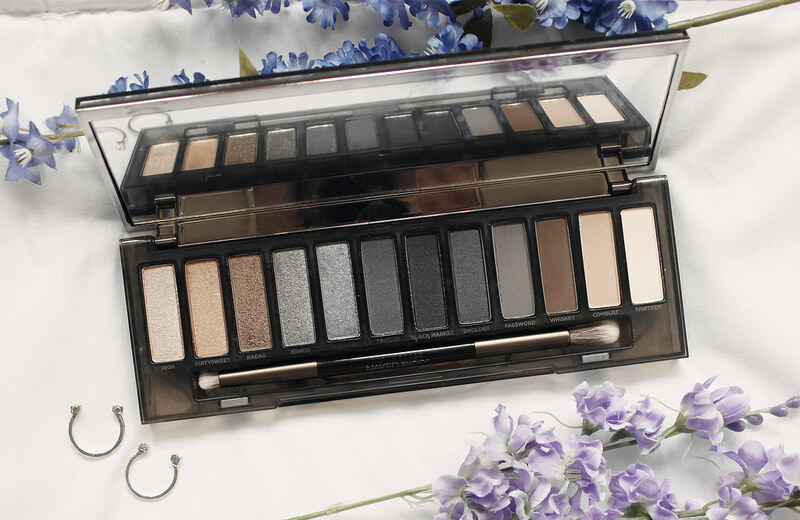 The Naked palette is like perfection! The naked palette is a character. I am certainly checking Sephora’s Weekly Wow Program hoping to get lucky. I love all the products you’ve shown here. Thank you love ❤ 🙂 And yes, I've been loving the new program so much!